Michelin Star Chef and famous Chef of elBulli Restaurant, Albert Raurich is recognized by his fusion of the Asian and Spanish cuisine. Dos Palillos is his restaurant in Barcelona open since 2008. The place where he finds his creative lab. Very soon he will open his new gastronomic space in the Condal City: Dos Pebrots. A different proposal where the diners will be knowledgeable of the different culinary techniques used in the preparation of the delicious Mediterranean recipes. The kitchen pass of Dos Palillos restaurant has been recently transformed. A new kitchen made with Neolith Pulpis giving rise to an open kitchen that allow diners to enjoy the culinary show. 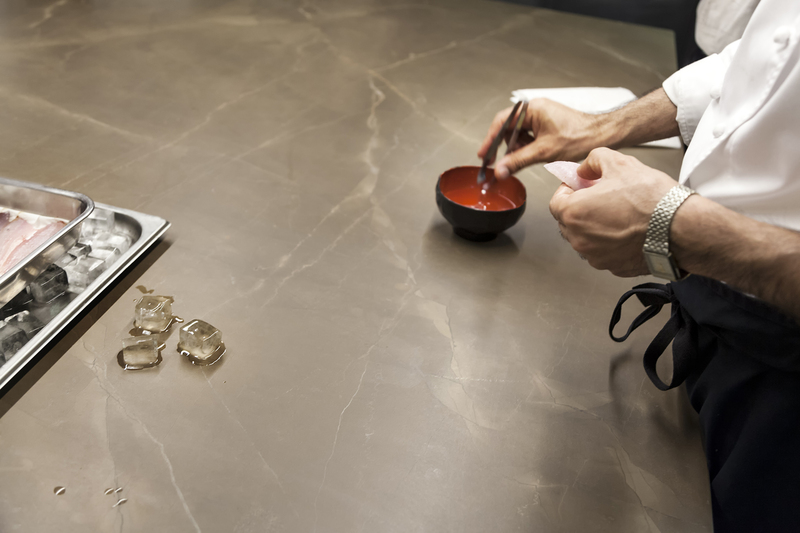 Neolith has also been the material chosen in his new gastronomic project, Dos Pebrots. The Beton model will be the protagonist of the space coating the walls and floors in constrast with the Avorio model that will dress the counters of the restaurant.